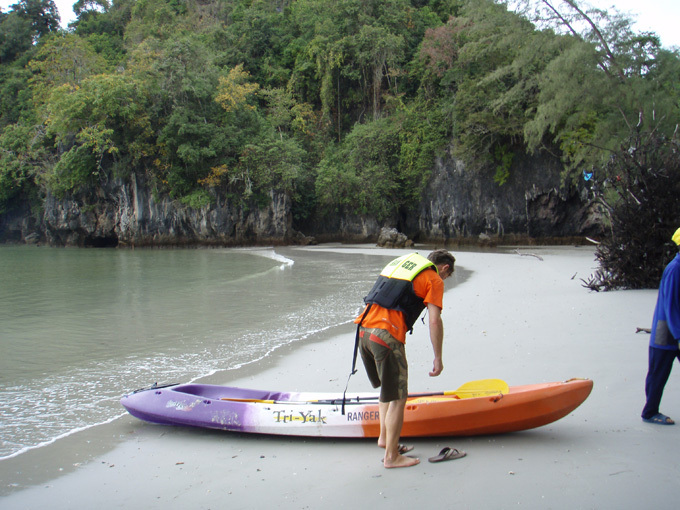 After dropping Tom and Ben at Phuket airport, we retraced our steps back towards Krabi. The landscape is spectacular. We actually stayed in the same place on the next beach along from Ao Nang, this time in the camper rather than a bungalow. It cost a very reasonable 100 Baht for the night including Wifi and showers. 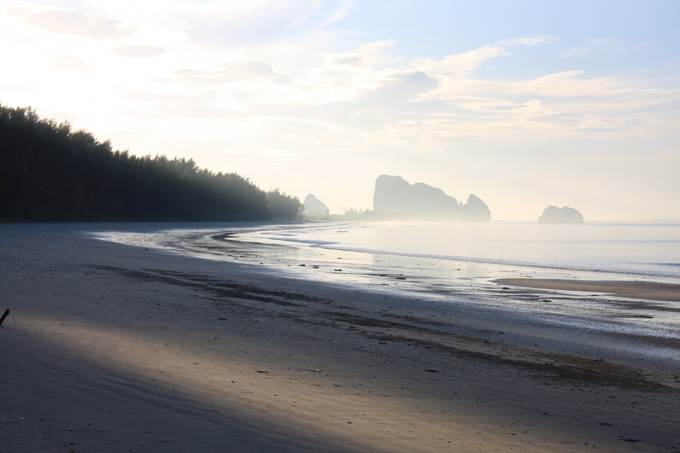 In the morning we headed off towards Trang. On the way we stopped at Chai Mai Beach National Park for lunch and decided that it was too nice to leave straight away. We hired a canoe and explored the rocky coast. Initially we had parked backing on to the beach but the monkeys drove us away. As soon as the doors were opened they prepared to storm the car. 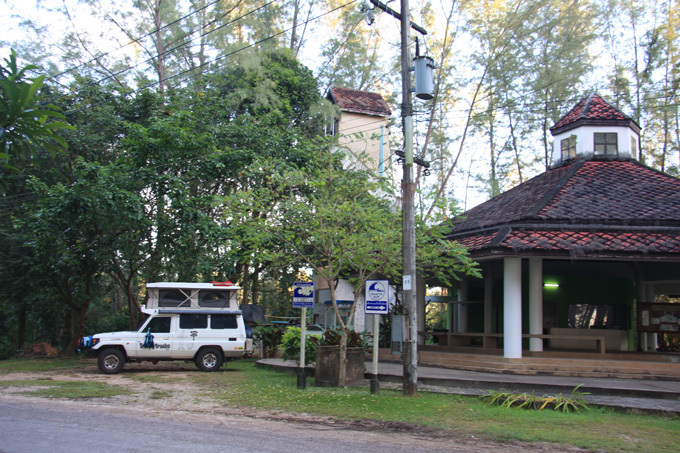 We retreated to the space next to the National Park office as the monkeys did not venture that far. In this national park we did not have to pay extra for camping as they decided that camping only meant tents. The only charge was to enter the park. This was 200 Baht per adult. 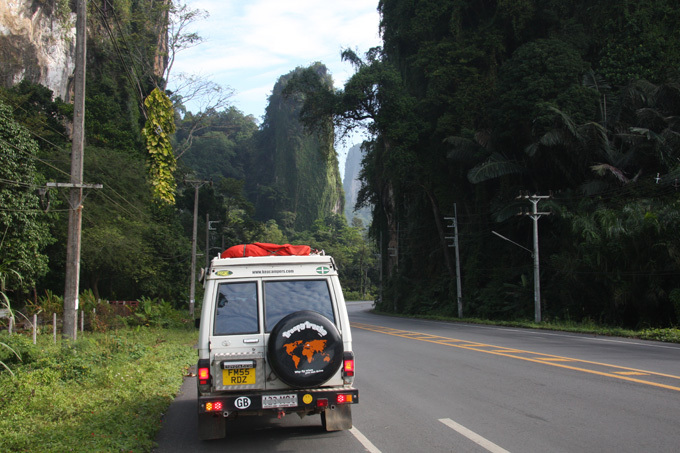 In the morning we drove on towards Phatthalung. There are lots of rubber plantations on the way and so we stopped to watch the rubber being transferred from jerry cans filled with diluted sap, into big drums for transfer into tankers and then on to the processors. It is a very distinctive, and not that pleasant a smell. 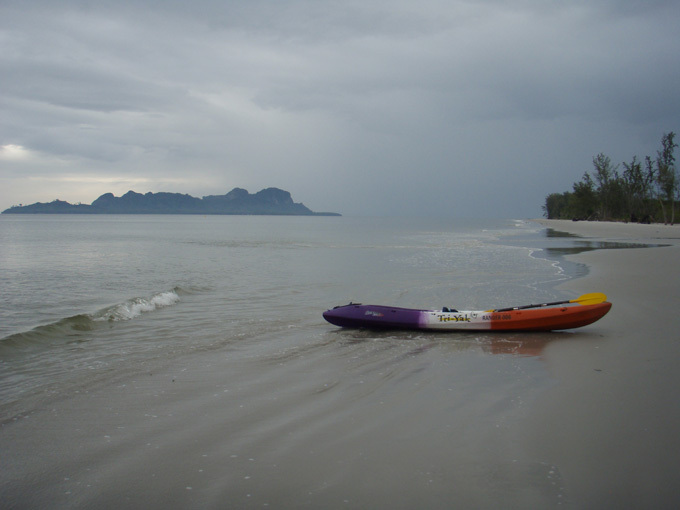 We decided to take a bit of a detour to Songkhla and arrived there mid afternoon. 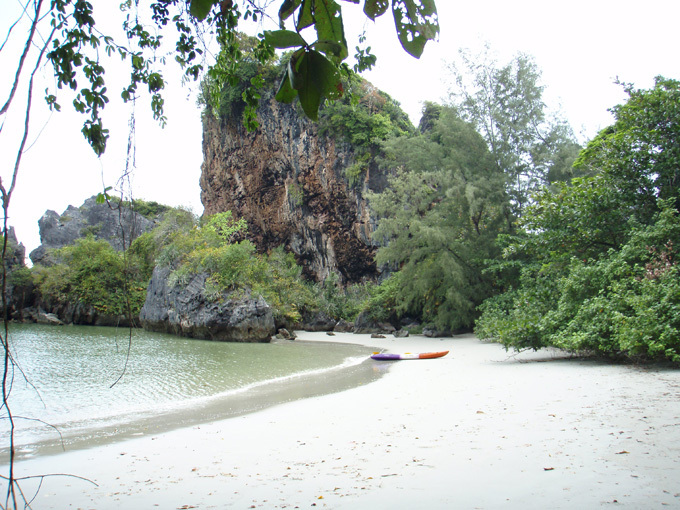 There are hardly any farang (foreigners) here, and the place is geared towards local tourists. Quite refreshing after Patong, where Thai tourists are in the minority.